Living up to its name, the Discovery program at TIFF looks to have an excellent lineup of films to choose from at this year's festival. Case in point, the new sci-fi thriller Aniara hailing from Sweden. Directed by Pella Kågerman and Hugo Lilja the duo adapted Harry Martinson's epic poem from 1956 of the same name. Aniara has never been adapted to screen so fans of Martinson's literary piece are due for a glossy big scale rendition and Kågerman and Lilja look to have done just that. Screen Anarchy pleased to share with you today an exclusive clip from Aniara and debut the new poster. For a touch more context we have also included the trailer which bowed last week. And below you will find the exclusive clip and trailer. 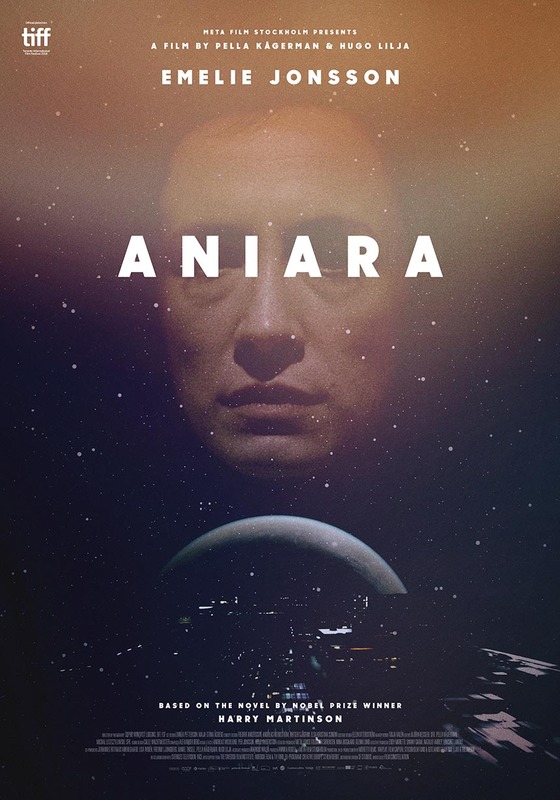 ANIARA tells the tale of a spaceship of the same name carrying settlers to Mars that is knocked off course, causing the consumption-obsessed passengers to consider their place in the universe, in Pella Kågerman and Hugo Lilja’s eerie and caustic sci-fi adaptation of a work by Swedish Nobel Prize winning writer Harry Martinson. The film stars Emelie Jonsson, Arvin Kananian, Bianca Cruzeiro, Anneli Martini, Jennie Silfverhjelm, Peter Carlberg and Emma Broomé. Executive producers include Meta Louise, Foldager Sørensen, Nina Bisgaard, Eddy Moretti, Danny Gabai, Natalie Farrey, Vincent Landay and Glenn Lund. Screenplay is by Kägerman and Lilja with Annika Rogell and Markus Waltå producing. Aniara will have its World Premiere at TIFF this Friday, September 7th at 6:45pm in the Scotiabank cinema. There will be two more screenings on the 9th and 15th in the Scotiabank once again. Ticket and screening information may be found here.